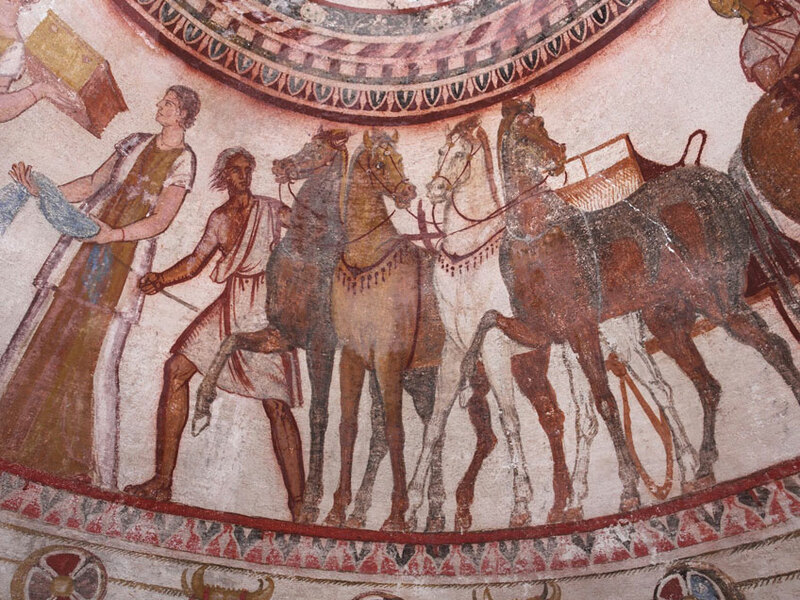 The Kazanluk Thracian Tomb was declared UNESCO cultural monument in 1979, and it’s located 19 km from hotel Alisa.It is representative of the Thracian architectural and pictorial art from the end of the 4 th and the beginning of 3 rd c. B.C. The structure consists of a lavishly painted entrance hall, a narrow corridor and a brick-wall beehive burial chamber. 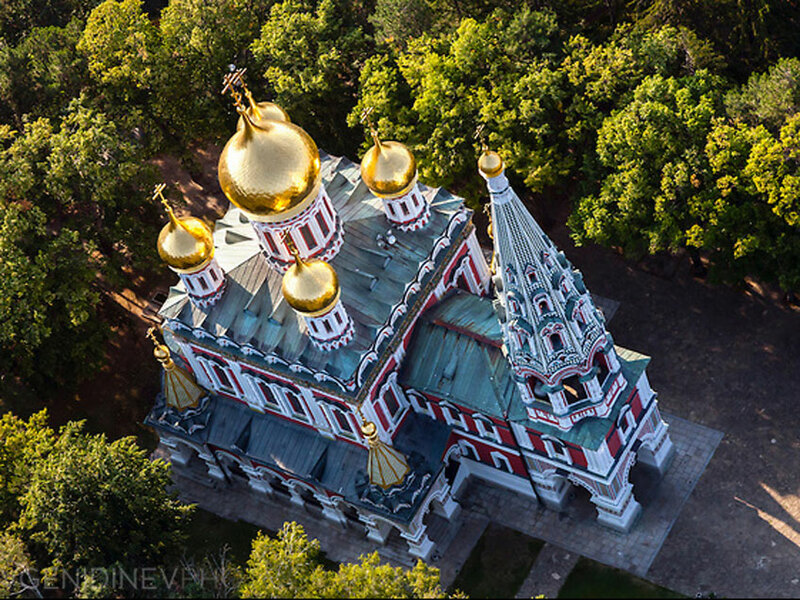 Shipka Memorial Temple ( “Memorial Temple of the Birth of Christ“, “Shipka monastery” or in Bulgarian: “Hram-pametnik Rozhdestvo Hristovo“) is located 20 km from hotel Alisa.It is one of the most sacred places for the Bulgarian people – a real pantheon of immortality, keeping the memory of the selfless feat of the Russian soldiers and the Bulgarian volunteers.Shipka Memorial Temple has gold-plated domes, rich decoration and beautiful wall-paintings, ancient icons. Its belfry is 53.4 m high and has 17 bells, the biggest of which is 12 tones. Ethnographic complex”DAMASCENA” is the first private distillery in Bulgaria.DAMASCENA” company produces and sells the famous worldwide with best quality Bulgarian rose oil, distillated from Rose damascena blossoms. 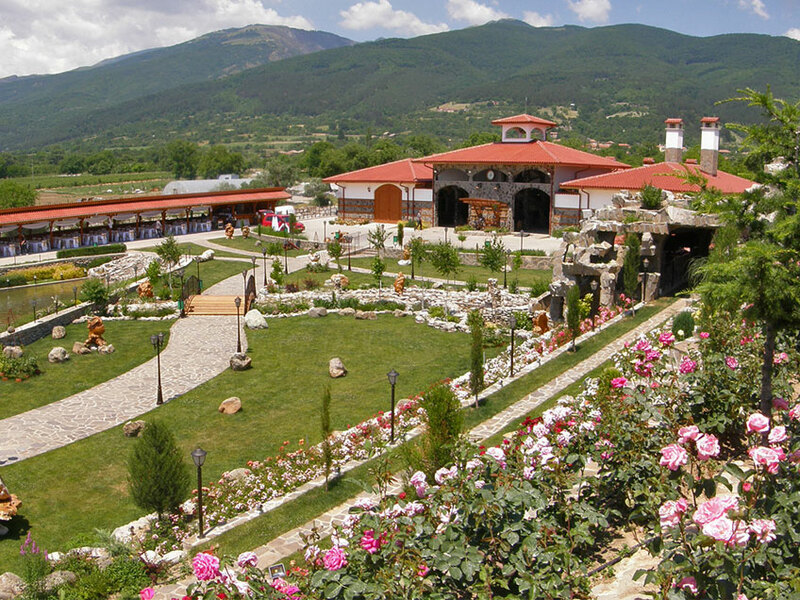 In our distillery are also produced high quality rose water, lavender oil, lavender water, and other essential oils.It is located 11 km from hotel Alisa. Unique five-day festival is held annualy in the town of Kazanlak in the beginning of june-Rose festival.The Festival is a world famous among foreigners and representatives of diplomatic missions. Rosa Damascena is the name of the oil-yielding rose, which made Bulgaria famous for production of the best rose oil in the world. It gave its name to a whole region – The Rose valley of Bulgaria.Three main events are worth a visit – early morning harvesting ritual in the rose fields, the electing of Queen Rose and the parade along the streets of Kazanlak.The town of Kazanlak is located 25km from hotel Alisa.